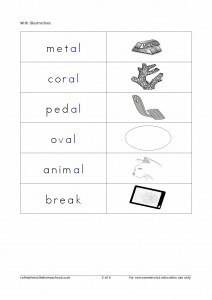 In order to make your “al” words flashcards you will need cardstock (cereal box), printer, glue or double tape, scissors, laminating film (optional). 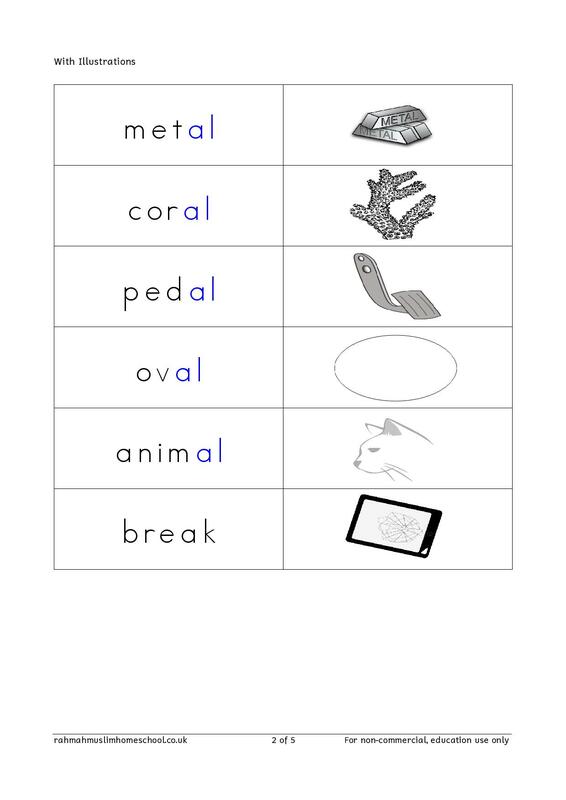 Read the words with your child, ask what pattern can s/he see (excluding the common exception word) and ask how many syllables are in each of the words. This entry was posted in 5-6, 6-7, Curriculum/Syllabus, English Worksheets, Rhyming Words, Spellings, Year 2, Year 2 and tagged Spelling worksheet, teaching resources, word tracing, year 2 english curriculum, year 2 lesson plan by Rahmah Muslim Homeschool. Bookmark the permalink.